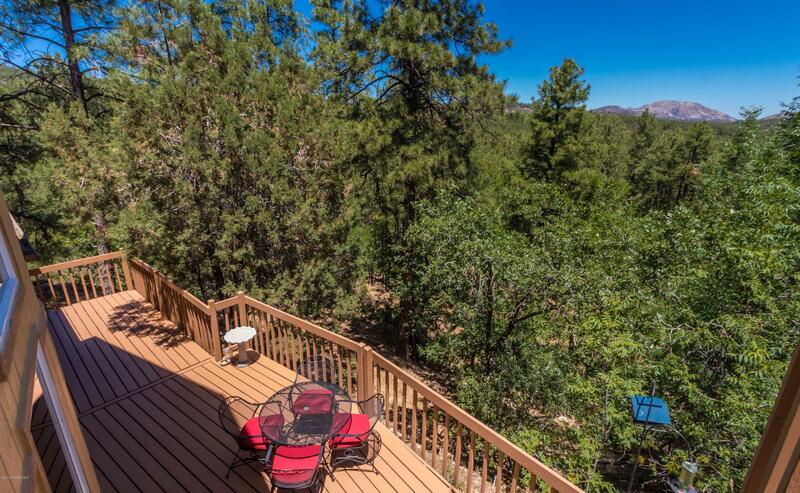 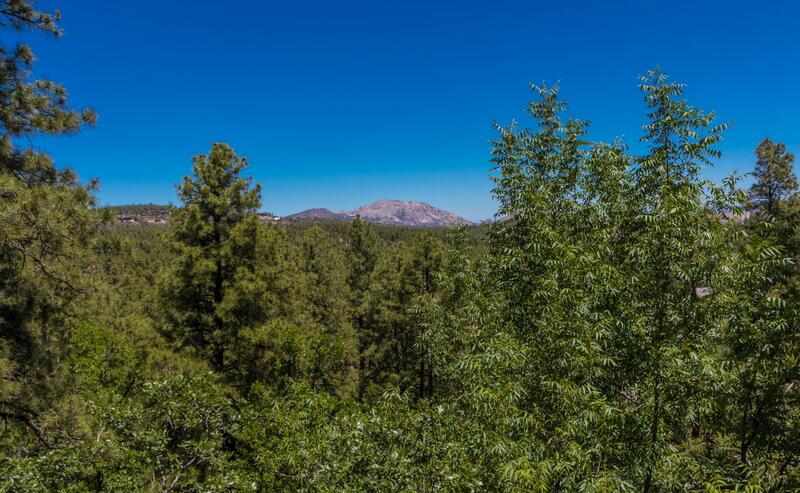 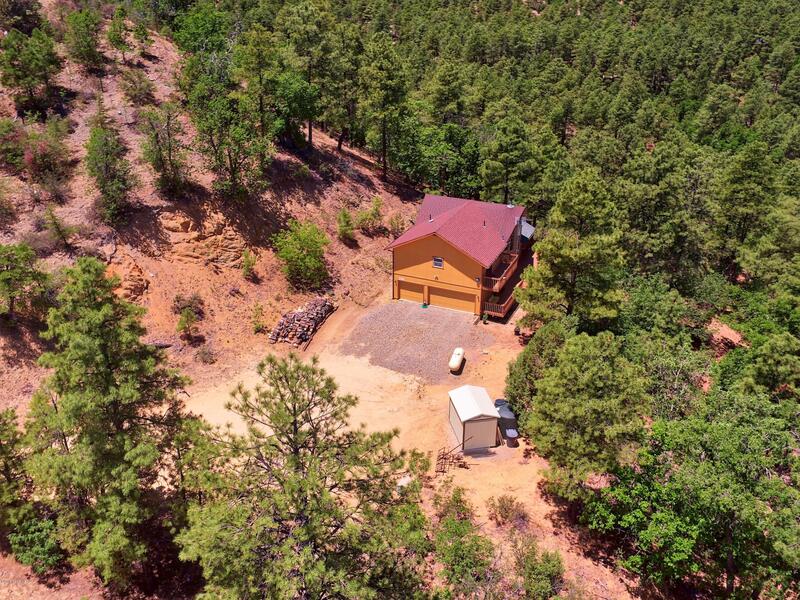 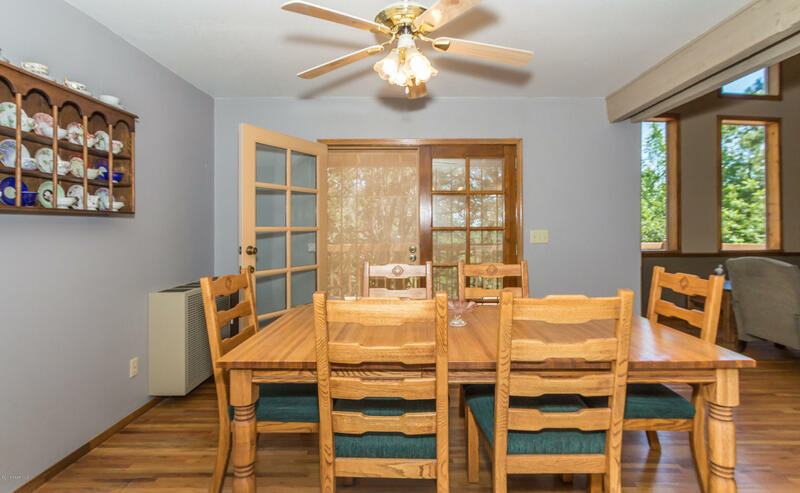 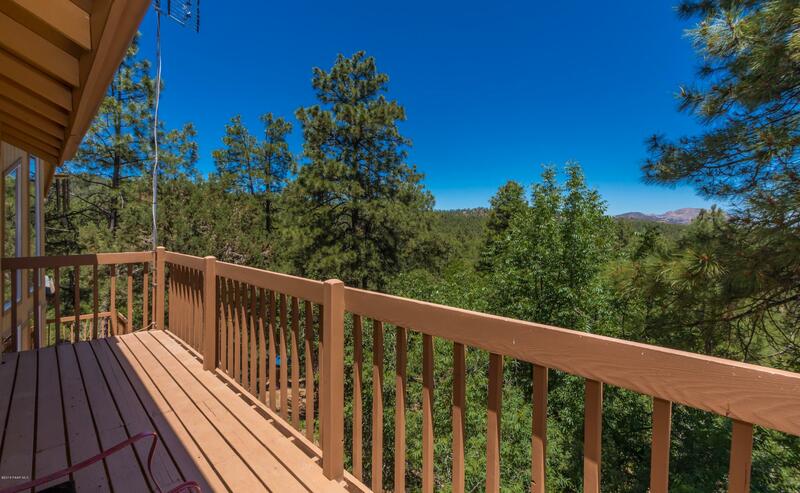 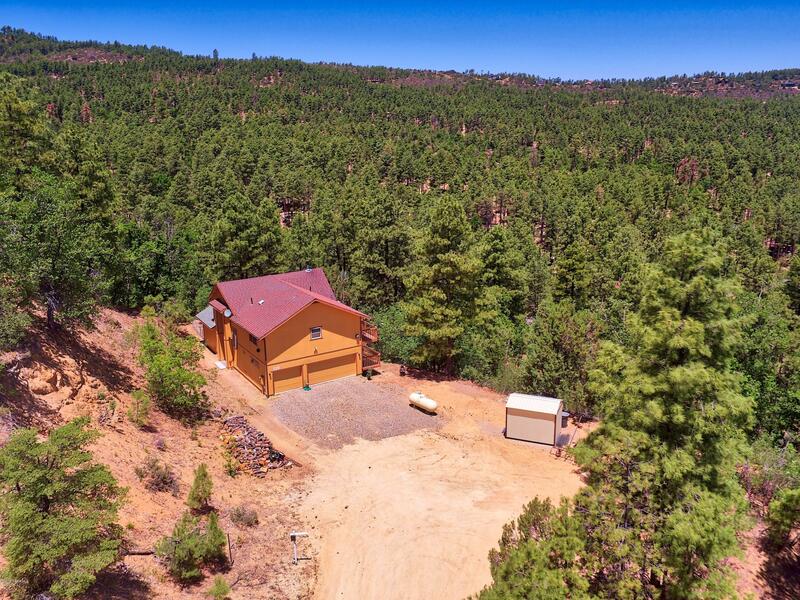 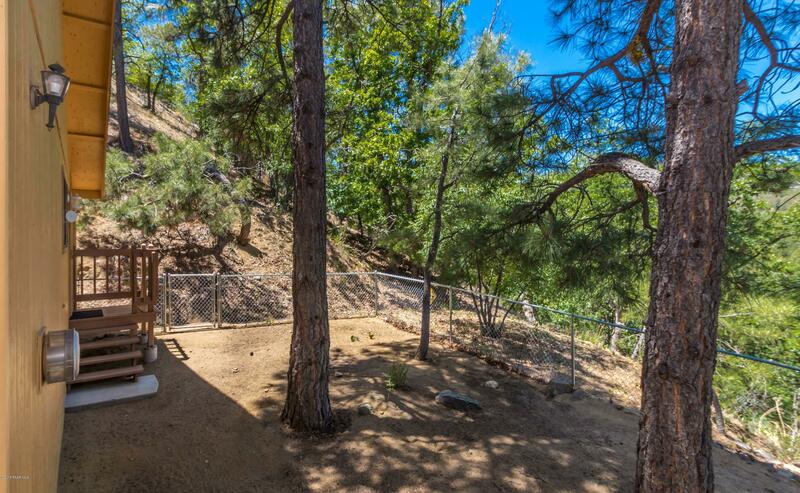 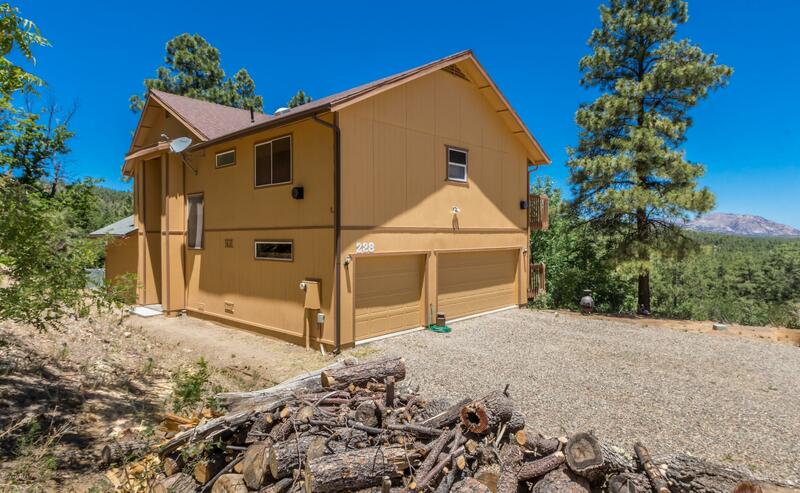 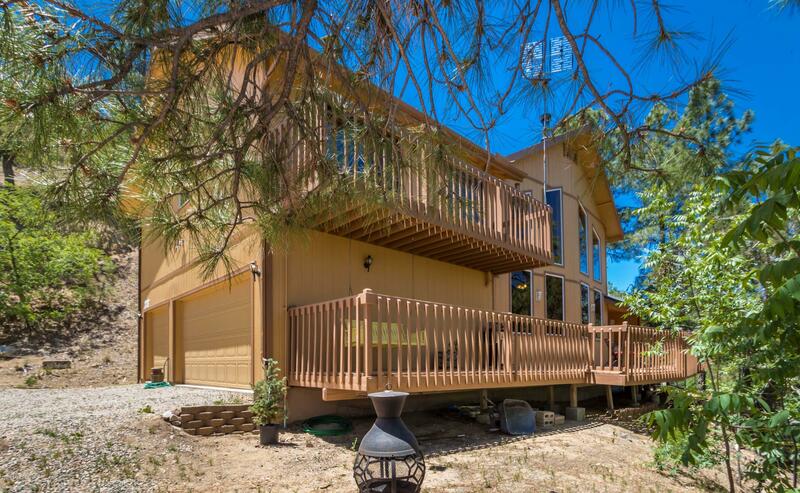 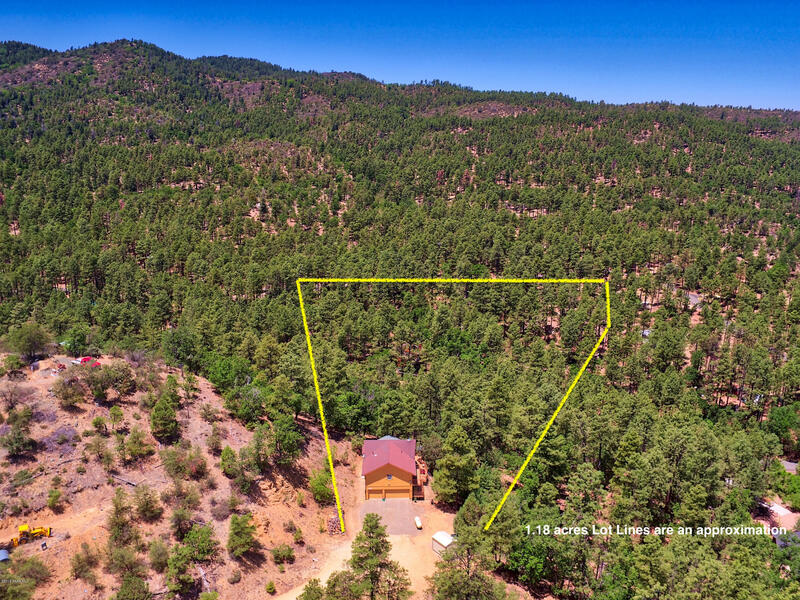 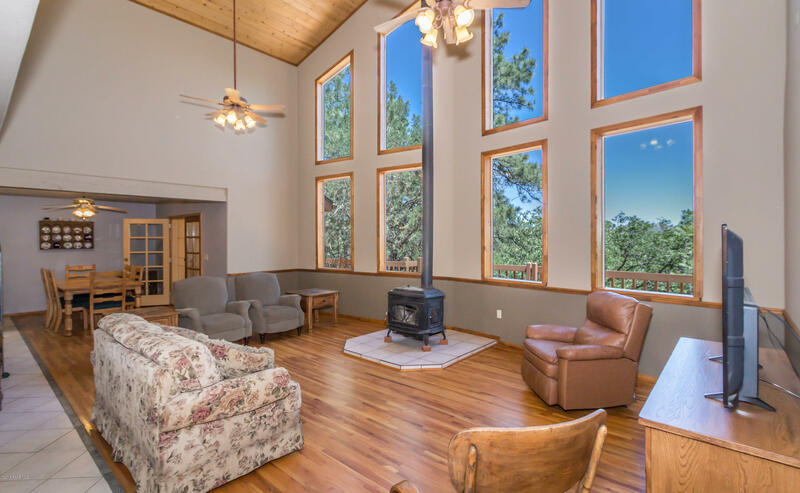 1.18 acres of tall pine forest creates a setting of this beautiful home that is truly the essence of serenity. 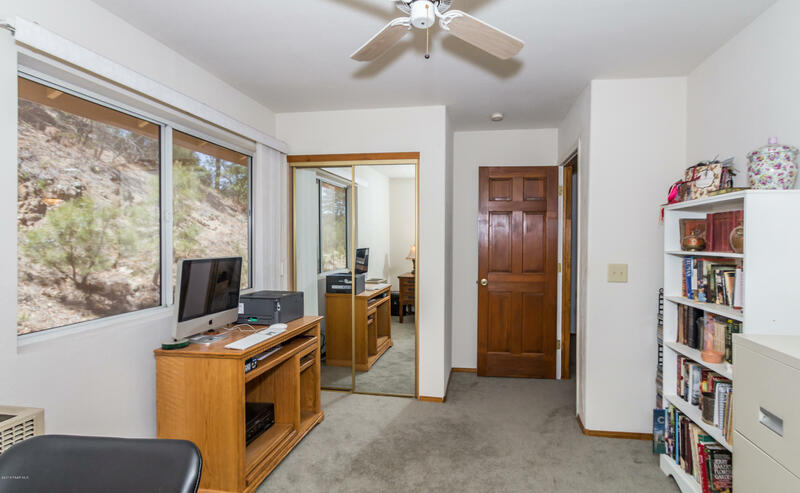 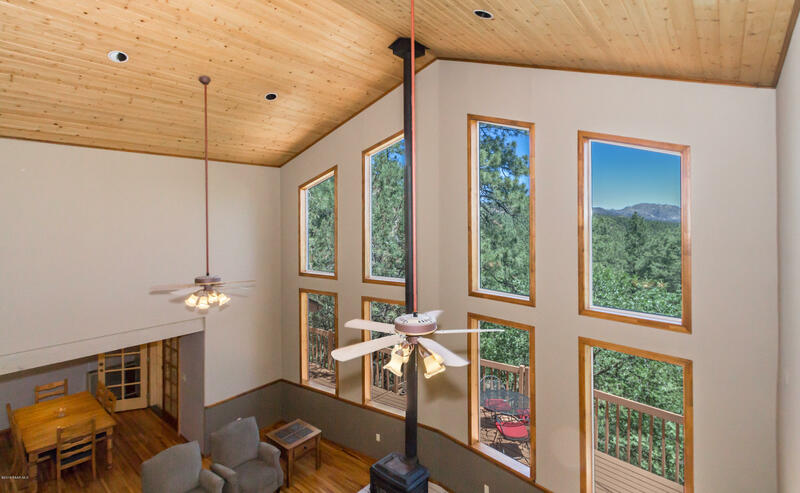 Dramatic picture windows in the Living room extend to the tall vaulted ceilings inviting you to bask in the towering pines surrounding the home and enjoy majestic views of Granite Mountain. 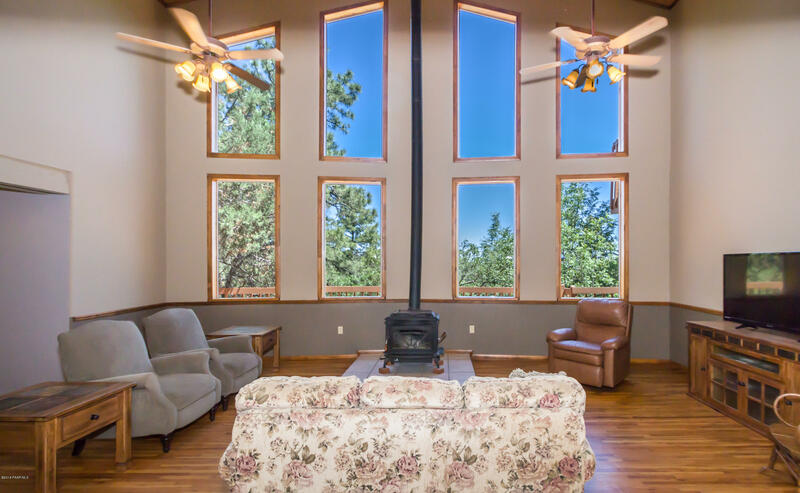 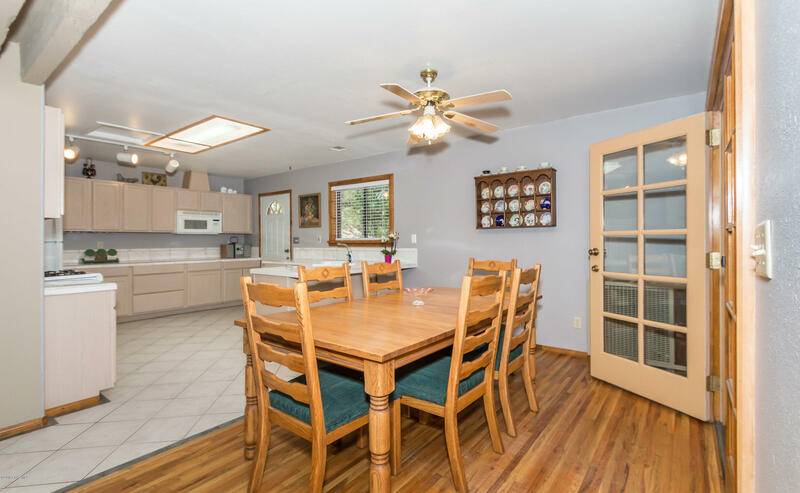 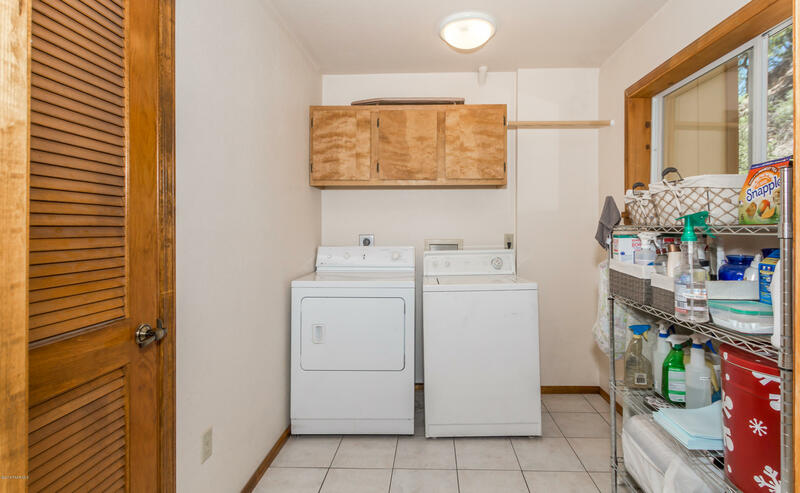 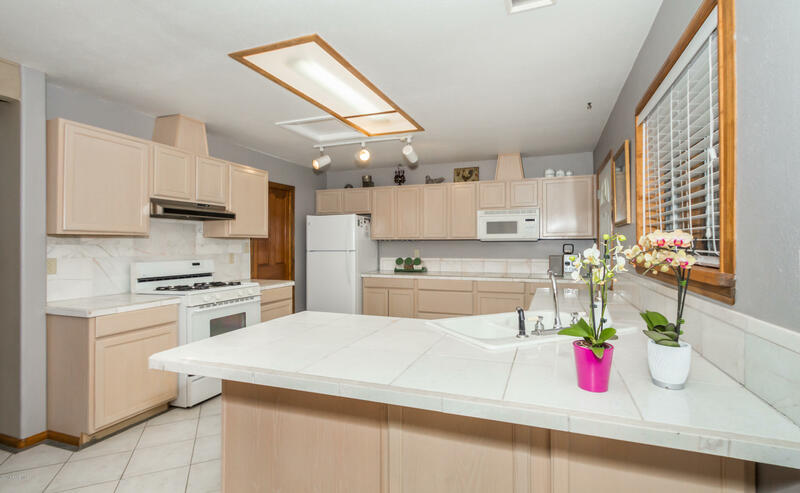 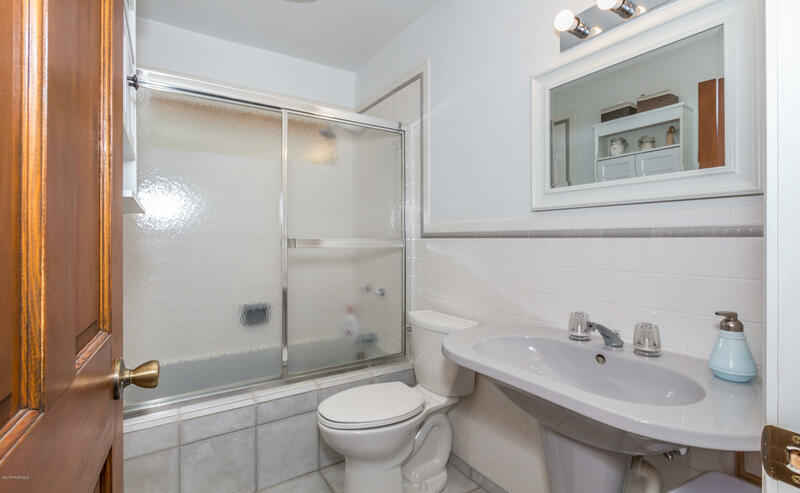 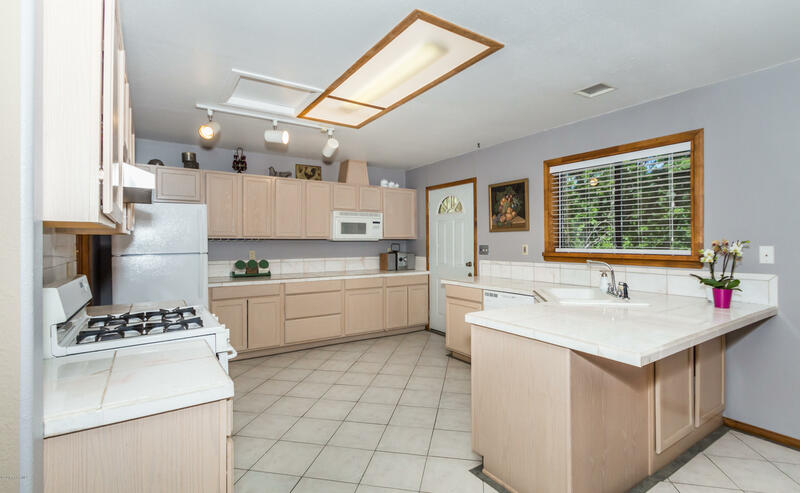 The Grand open floor plan features wood floors and cozy wood burning stove. 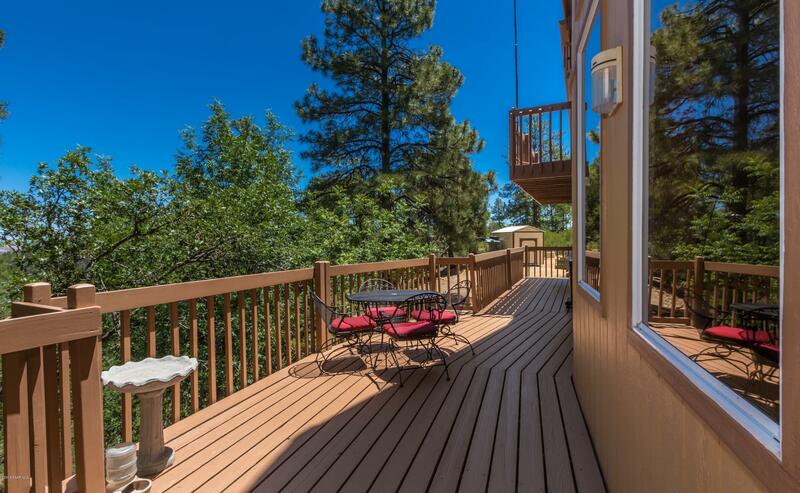 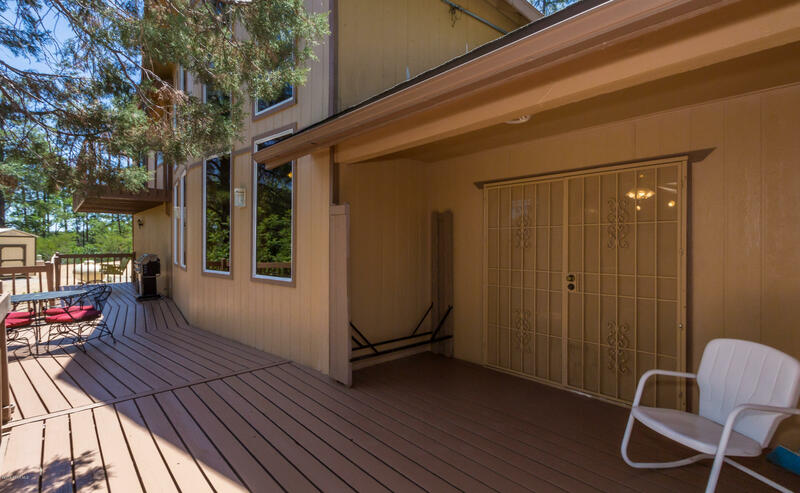 First and second floor decks are perfectly aligned to stay cool in optimal shade all day long. 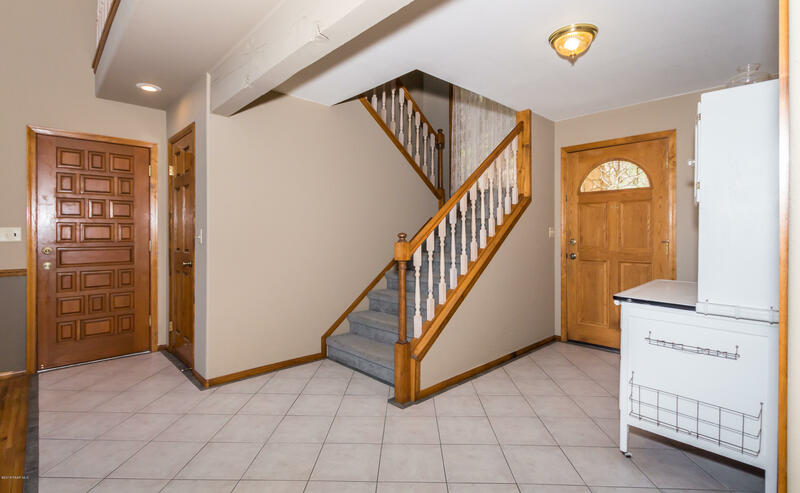 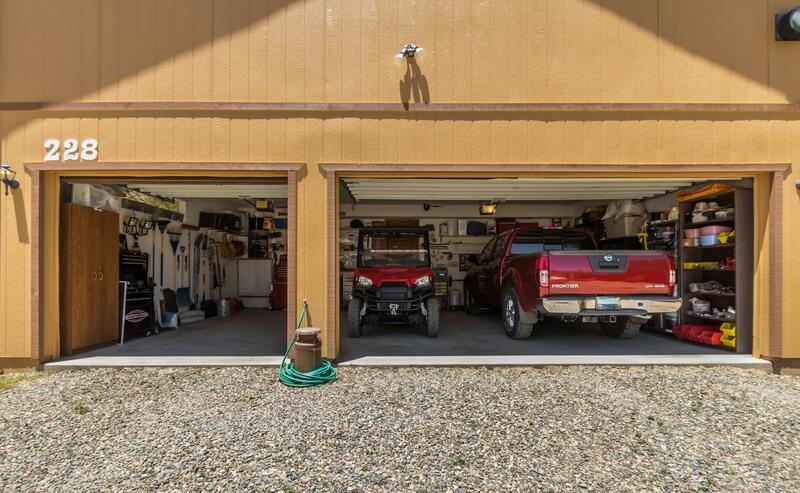 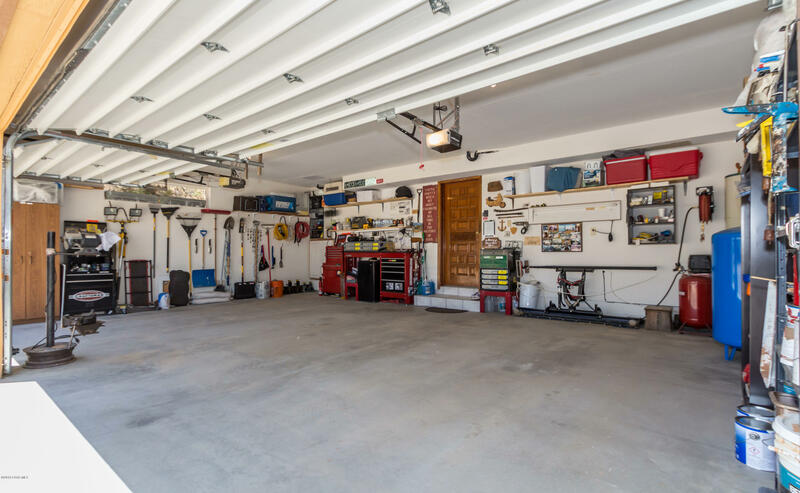 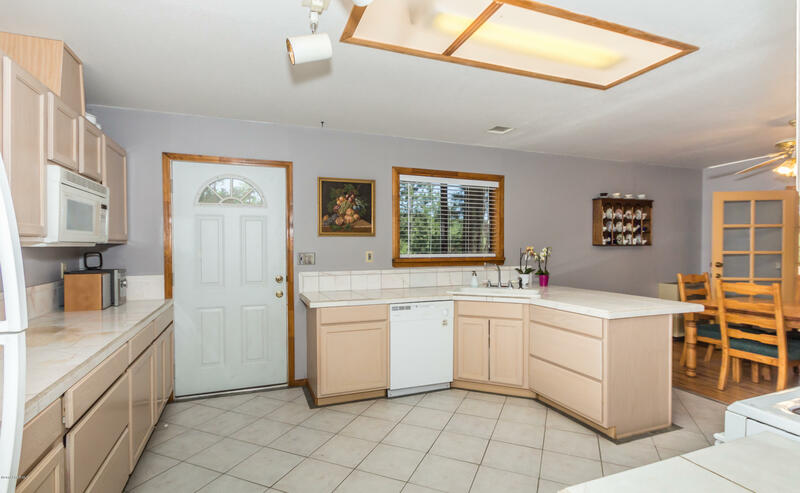 Large 3 car garage and plenty of parking for all of your toys. 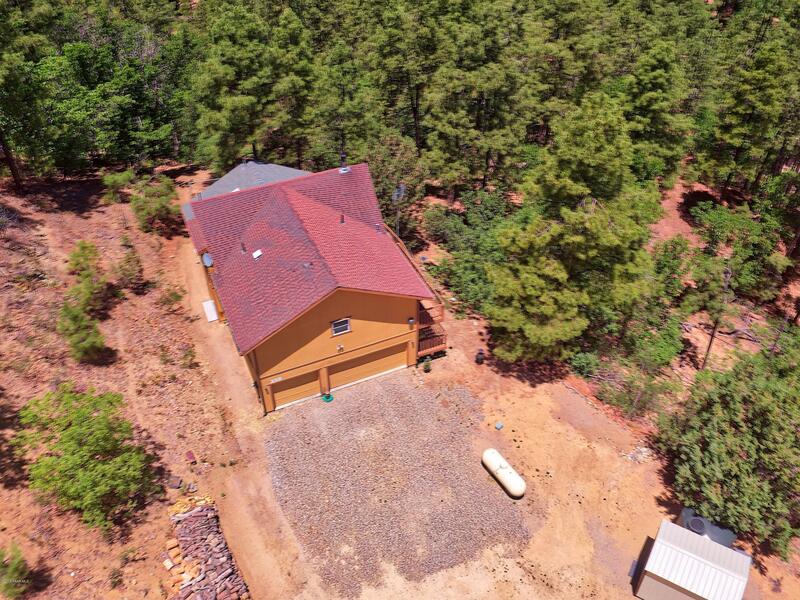 New roof on entire home just completed. 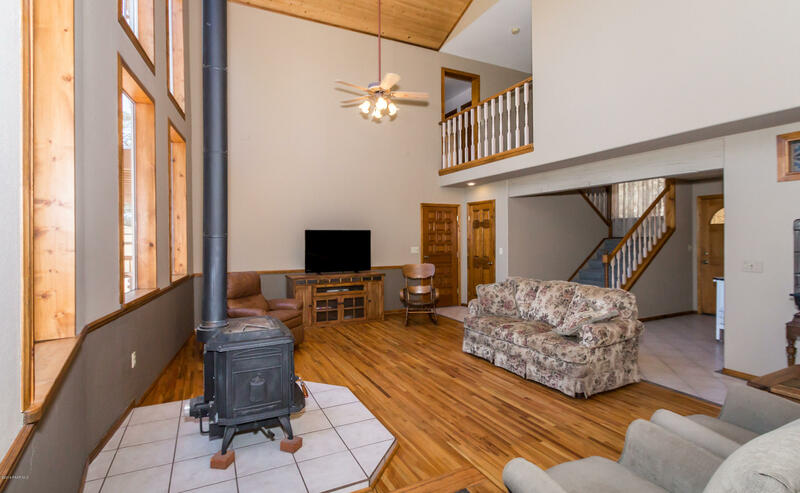 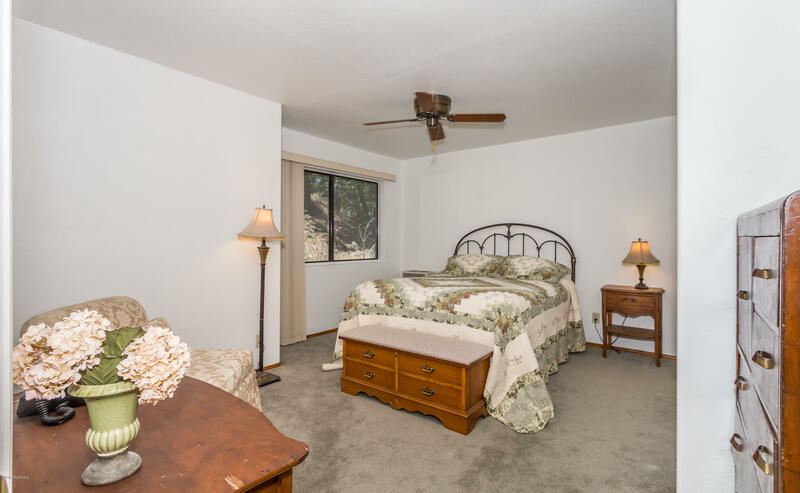 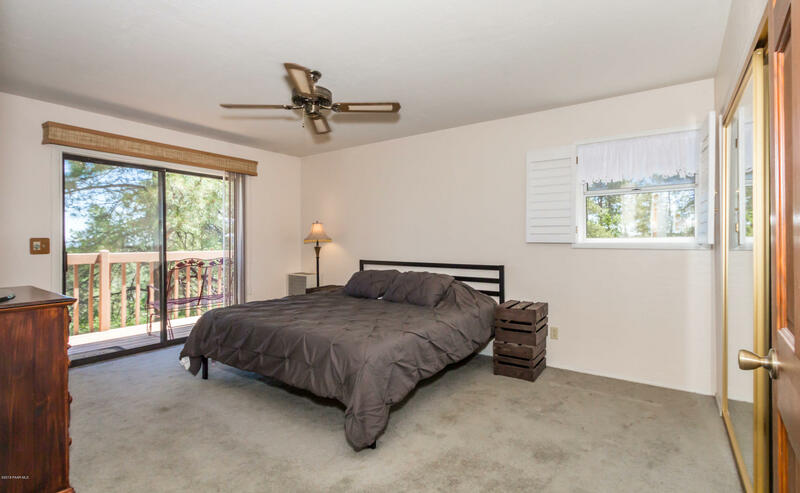 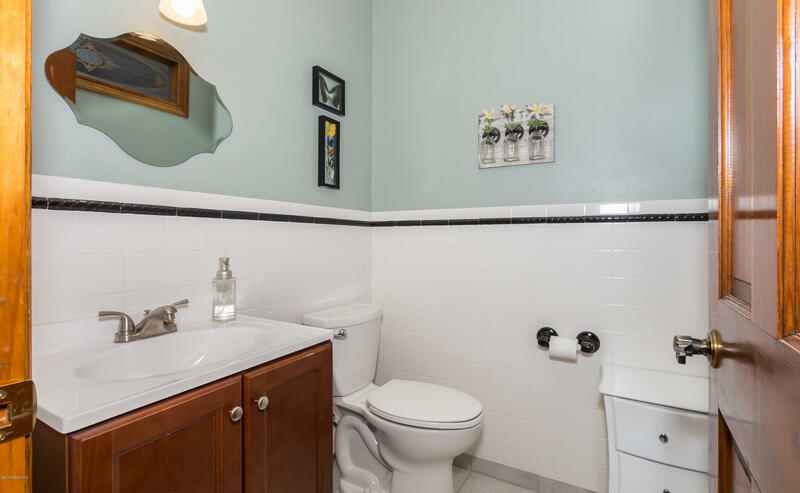 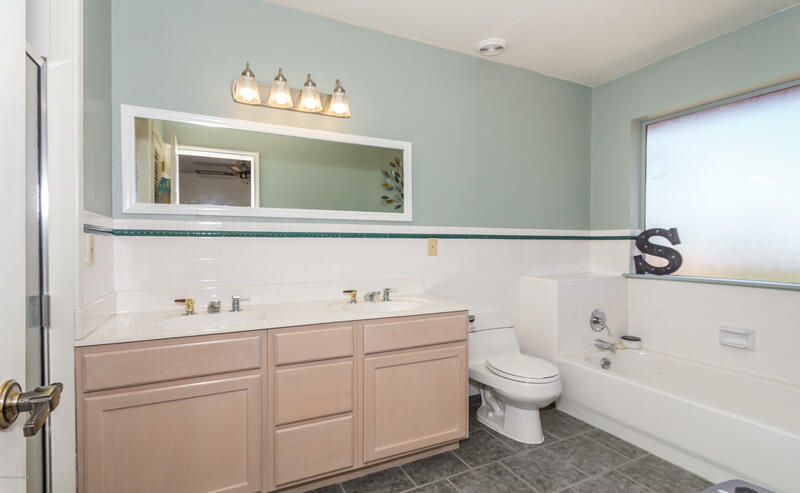 This tranquil home is the perfect retreat from everything, still just 20 minutes from the downtown courthouse square. 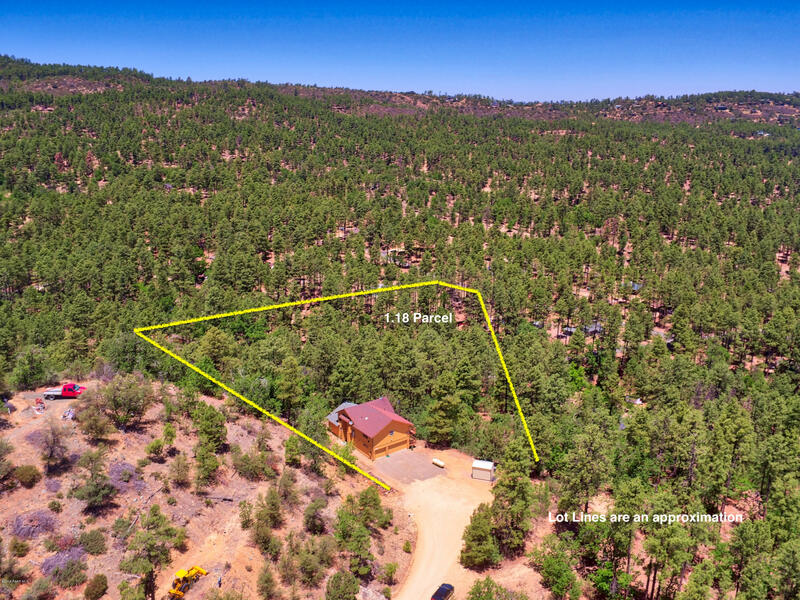 Road is paved up to the last 300 ft.
Take Thumb Butte Rd stay rite on Dearing Rd, turn left on Burton Dr, turn left on Endress Ln stay to left to end.Follow the red arrows on the directional sign posts.